Stig ‘Tonish’ Tonsjø loves nothing more than combining his two passions: being a cop and dancing to Rihanna. The Norwegian posted this video of himself getting down to the pop star's music in - and around - his patrol car. He intended to show that police officers are regular people and spread positivity, Tonsjø told Politiforum. 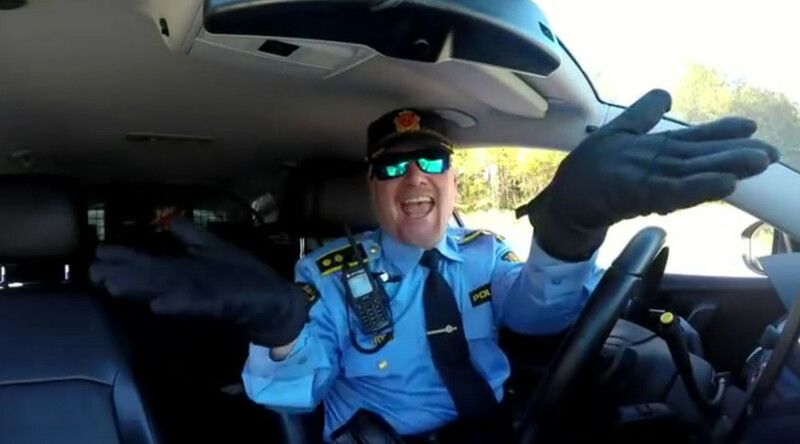 Tonsjø’s videos have yet to gain the same traction as this Delaware cop dancing to Taylor Swift’s ‘Shake It Off’ while patrolling the streets, which has received more than 38 million views. And this traffic officer’s Michael Jackson moves attracted more than a million views on YouTube.